I’ll go ahead and say that we are a musical family. We’re not the next Von Trap family singers or dance troupe that’s for sure (I wouldn’t go that far!) but my husband and I definitely appreciate a variety of musical genres which we like to expose our girls to on a regular basis. I’ve heard of soothing classical music for children and the benefits music has on infants and newborns. With both girls we’ve been very conscious to expose them to classical music to stimulate their brainwaves, even while they were both still in the womb. Up to now, our car radios are set to the classical station by default. Sam will once in a while request for her Kindermusik songs, and so between those two options we have pretty much our playlist set. While she is listening, I am meanwhile learning tidbits of trivia about the featured artists. KK our doula says it’s much easier to teach them to go to sleep by constantly uttering the words, “go to sleep” or “time to sleep”, but well — this apparently works just fine. Hopefully that helps Jamie learn to appreciate music and movement just as much as it should help me achieve my baby weight loss goals. 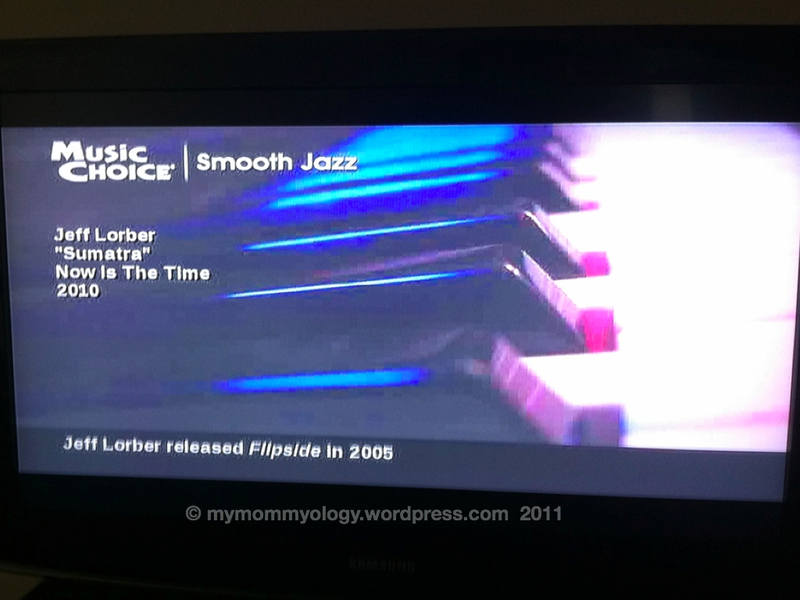 I’m trying to think back if I listened to the Jazz Channel a lot while I was pregnant. Surely I had it on a couple of times. Maybe it sounds familiar to her? That’s possible right? In any case, I do hope that daily exposure to it is beneficial to her in the long run. As it is she can already recognize (or so I’d like to think) certain songs from Sam’s repertoire of shows and cartoons. She perks up and turns her head when she hears the opening song from Dora the Explorer, and will sometimes stop nursing when familiar tunes from the Sound of Music start to play. Sam for now is a sponge to all kinds of music and songs. After listening to the lyrics to a song a couple of times, you’ll catch her singing it while playing, before sleeping, or in the car on the way to somewhere. I’ve kept her musical exposure to the wholesome kind, from what she’s seen on her shows (Barney, Annie, Beauty and the Beast and the like), while her father has, shall we say, “expanded” her taste and variety to the more modern kind. A few weeks ago she came home from a date with her dad, half dancing and stepping towards me saying, without skipping a beat, “I want to kick it in the back-seat Mom!” I laughed and dismissed it, thinking that it was a phrase she heard from somewhere, as she has been picking up phrases from her teachers lately. Her daddy had this mischievous grin on his face, but he didn’t say anything. That is such a rapper phrase! Haha. “tis a sign you’re getting old because you didn’t recognize it. So much for the classical music. In my defense, I don’t have the luxury to learn new rapper songs, wahahahha! Jamie = Jazz! Sooo cool 🙂 Bagay! Uyyy! Most likely baby girl!